With vacancies declining and rental prices rising, the climate in the housing industry is clearly warming up to rental properties. 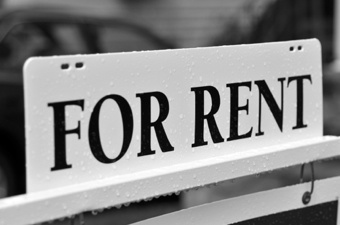 According to Moody’s Analytics, “weak income gains, favorable demographics, and the foreclosure crises” are all causing people to choose renting over buying, and demand for rent will remain solid over the next two years. Between 2000 and 2008, real per capita income grew at an annualized rate of 2 percent compared to 0.8 percent in 2010 and 2011, according to the report. In addition, many households simply don’t have enough for a down payment, and until households gain more in terms of finances or confidence in the economy, fears of homeownership won’t be put aside. A survey released by Integra Realty Resources reported 31 percent of respondents said a lack of a down payment was the main reason holding them back from making a purchase, 24 percent said it was the fear of making a bad investment, and 21 percent said the uncertainty of the economy was the main reason. Another reason the rental market is booming is because of the emergence of a younger age group heading households. The younger age group are the least likely to own a home and more likely to rent, according to Moody’s. While the overall rental rate is 35 percent, the renter rate for those between the ages of 25-29 is nearly 65 percent, and for those under 24 years old, it is 77 percent, according to the Census Bureau. And, growth for those between the ages of 20-29 is not likely to slow down, either. The report stated that this group has been growing at an average pace of 0.9 percent from 2007-2011 and grew only 0.3 percent between 1990 and 2006. Another factor helping to strengthen demand for rent is the foreclosure crises. As many former homeowners who were foreclosed on search for a new residence, single-family rentals have become the next best thing to owning a home since a previous foreclosure makes it difficult to obtain a mortgage. Foreclosures stay on one’s credit for 7 years, and some lenders do not approve of a loan within that period. While rent is strengthening, Moody’s stated new construction is being developed that will keep rent prices from escalating. According to the report, developments with five or more multifamily units have increased from an average of 67,000 at the end of 2009 to 221,000 in the three months ending in April. On the other hand, Moody’s waved away concerns for the increasing pace of multifamily construction and said apartment construction has actually fallen short of its normal pace. All the while single family rentals are also tightening as shown through the declining single-family vacancy rates.